Think of food as dirt. Not too appetizing is it? But when you compost (fruit peels, coffee grounds — and the paper filters — eggshells, leftover vegetables…), you can feed your lawn and nourish your gardens by mixing it into the soil. And if you’re growing an edible garden, it comes back to you full circle! The fact is, the average American household throws away about 25% of its food. Now stop and think if you composted that stuff, it would tremendously lighten landfill loads. Maybe you don’t have any outdoor space to compost? You can still recycle food scraps starting with a kitchen bucket and unloading it somewhere weekly, just check with your local department of public works or a farmer’s market for details. In between drop-off hauls, if your bucket fills up, stash scraps in the freezer in a sealed container lined with newspaper. 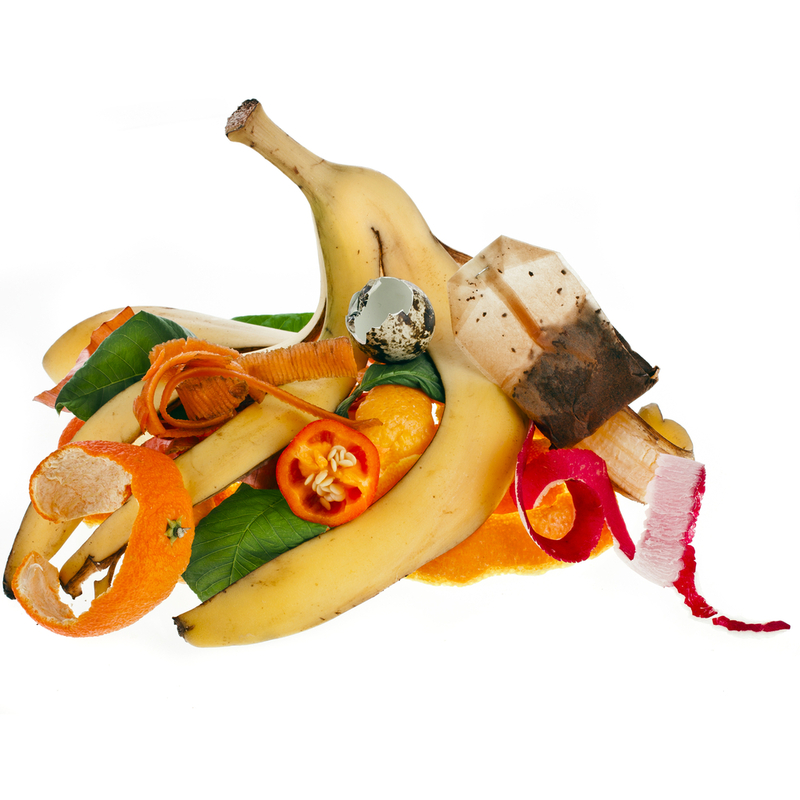 What not to compost: meat, cheese or fish because they attract animals and skip the cooking oil which draws insects. It usually takes four to six months for compost to turn into dark brown or black soil with a nice, earthy aroma. We started ours the Spring we moved in, and worked it all through that Winter which produced our “black gold” — nutrients for the garden. 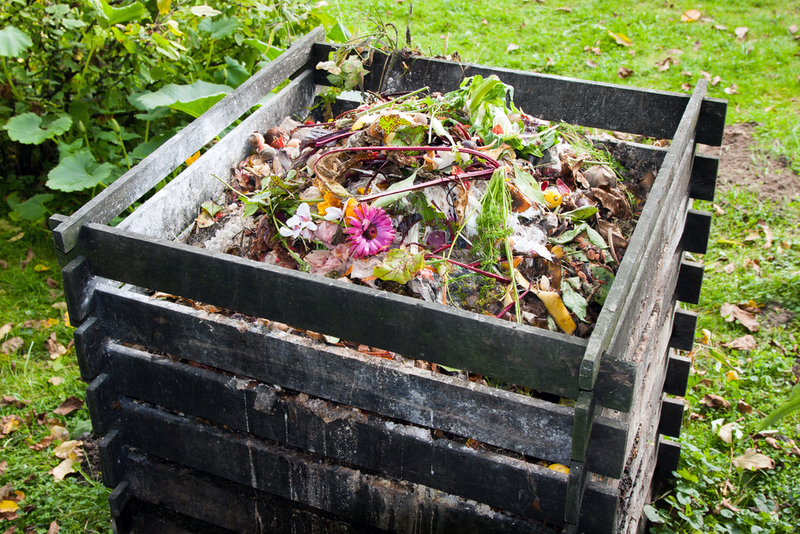 According to some experts, any and all organic matter can be composted but most of it should be made up of dry materials like dead leaves, twigs, torn-up newspaper and paper plates. These items apparently contain carbon which feed the microbes that decompose the pile the necessary energy to work their magic, while the food and other moisture-rich items like grass clippings, supply the the protein that microbes need to produce. The ratio of three-to-one of dry to wet, yields the best results. I have to say, Russ and I don’t necessarily heed that advice. The only time we add a lot of dry material to our compost is in the Fall season after raking leaves and cutting down spent plants, but we still generate very rich compost. 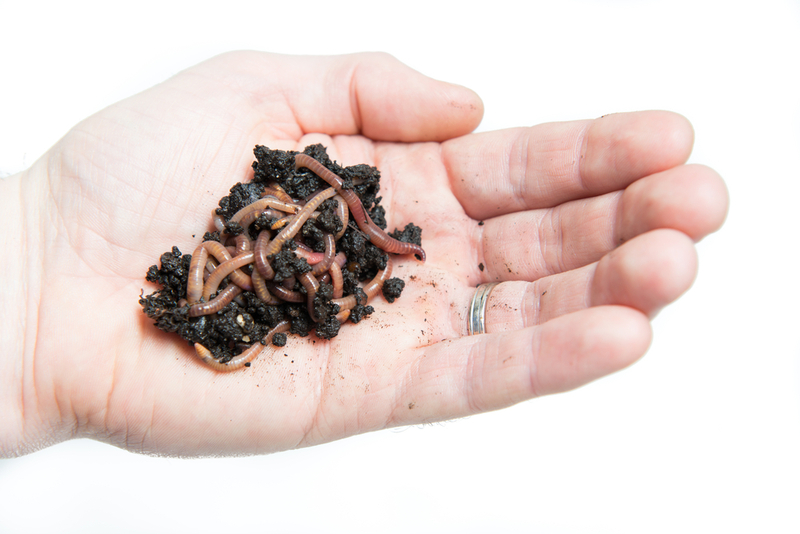 It is not necessary to add earth worms to your compost because they often find their way to your bin. But when we moved to our Langhorne house a few years ago, one of the first things we did is order (yes, through the mail) a shipment of worms and dumped them into the heap. This is called vermicomposting, which is the process of using worms and micro-organisms to turn kitchen waste into a black, earthy-smelling, nutrient-rich humus. Over the years, the worms have been multiplying and happily churning away. Basically, an “ordinary” compost bin or heap works by the waste being continually added, stirred up or turned over which introduces air. The bugs, bacteria, fungi and all sorts of other micro life breed and multiply so they need this air, as they are multiplying and decaying the waste they produce heat. This is called aerobic composting, when any heap or bin is generating heat in this way it is properly composting, if the heap or bin has gone cold, this means that the population of bugs bacteria etc, have used up all the oxygen and are now dying off and effectively the composting has slowed or stopped altogether. Keep in mind, that very often if everything is stirred up, introducing more air, the whole lot will start again. Oxygen is needed to support the breakdown of plant material by bacteria. To supply oxygen, you will need to turn the compost pile so that materials at the edges are brought to the center of the pile. Turning the pile is important for complete composting and for controlling odor. Wait at least two weeks before turning the pile, to allow the center of the pile to “heat up” and decompose. Also, keep an eyeball on the moisture level. The pile should be damp, like a wrung-out sponge (not soaking like a swamp.) If it’s too dry, spritz it with the hose. Too wet? Add shredded newspaper or wood chips.